with the so-called "Big Steel Teeth"
braces because they don't like the ugly appearance. Some people may be hurt by the side of the braces. Some people even have incessant decayed teeth becuase of the braces. Amy is not one of them. She exactly wants the most popular invisible braces. Amy always dresses up and applies cosmetics. (I have no choice because I am her bestie). moment she laid hereyes on this elegant and gorgeous environment. Because we did not make an appointment in advance, after completing some forms of personal informations,we waited for a while. even foreigners who seemed asking some questions about invisible braces. and then kindly gave us the health education about cleaning teeth. Once again,her cordial attitude made us feel at home and relieved our emotion of anxiety and boredom due to the waiting. The next counselling time for the orthodontic treatment is really the key moment. we did our homework before coming here. We asked about the prices of invisible braces and traditional braces right at the beginning. What's the difference between invisible braces and traditional braces? so I listed some convincing reasons for you to take them into consideration. unseen and no one will laugh at your braces. This ingenious device gives you beauty, comfort and relief from gums being hurt. 2. Invisible braces can be taken off and then you can brush your teeth every day. invisible braces are definitely a right choice for you. invisible braces are the necessary orthodontic device which makes you confident to show up. Even on the occasion of going abroad, the orthodontic treatment will not be affected. 4. Accordingly adjusted invisible braces will be wornon the follow-up examination every two weeks. New invisble braces can ensure the sanitary condition. The length of orthodontic treatment by invisible braces is almost the same with that by traditional braces. 5. 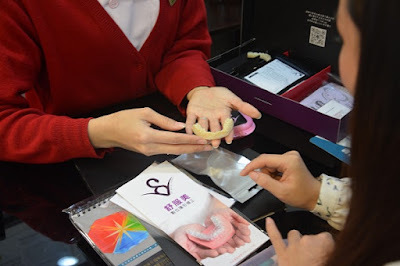 Traditional braces cost between 100,000 NTD and 150,000 NTD depend on the teeth conditin and the equipment of the clinic. 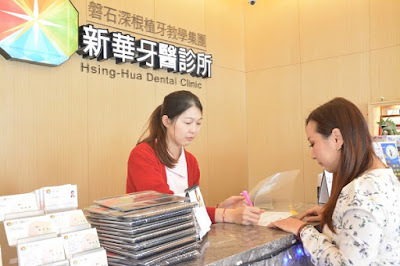 However, the price offered by the Hsing-Hua Dental Clinic really surprised us. a price we cannot find in Taichung area. Amy made her decision right away to wear beautiful invisible braces. should be at least 22 hours every day to give effect to the orthodontic treatment. just like traditional braces. Otherwise the orthodontic treatment might be affected. to help me find the best angle for taking the photos on the invisible braces. 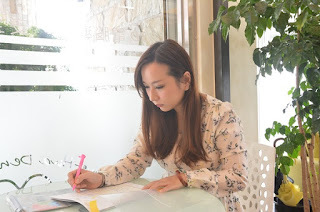 Acoording to Amy's words, wearing invisible braces is easy and comfortable. She said invisible braces are betterthan her boyfriend. 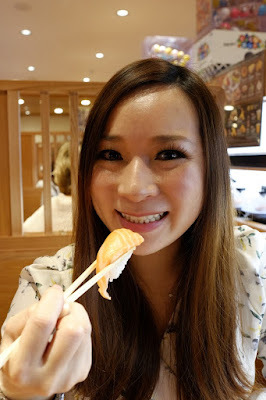 There is not any probelm in eating right after the treatment. and lablled the dates of follow-up examinations on the calendar to prevent Amy from forgetting the follow-up examinations. braces for Amy to take good care of her teeth. What a thoughtful action it is. and a state-of-the-art design of fashion. 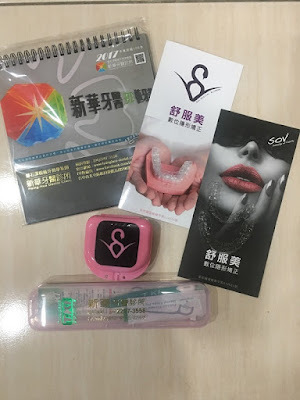 recommend thisnecessary device of the orthodontic treatment for her. during the treatment that I cannot help but highly praise him. 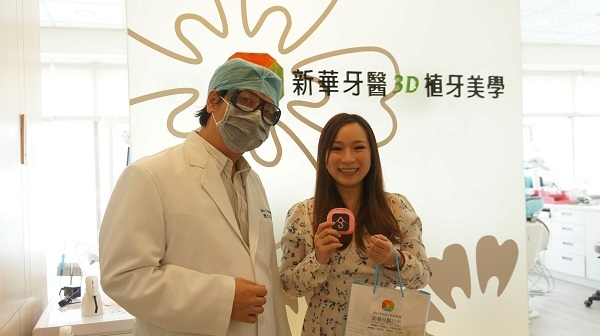 Here is a photo of Amy and Dr. Chen. wants to prove her slimness. L.O.L. 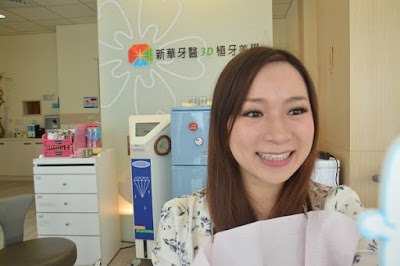 you may take a look at the dental clinic of Amy's choice in Taichung.